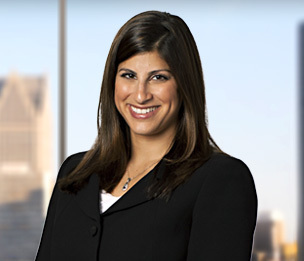 Ms. Chilson is a member in the Business Litigation Practice Group in Dykema's Detroit office. Her practice focuses on business, commercial, and contract litigation. Her primary emphasis is in the area of complex business and commercial disputes, privately-owned business disputes, shareholder disputes, business torts, recall and warranty cost-recovery matters, automotive supplier disputes, government investigations, construction lien disputes, financial services, commercial real estate, and lending litigation, in which she represents some of the nation’s largest financial institutions. Ms. Chilson has achieved many successful outcomes in state, federal, and appellate courts, as well as arbitration and various forms of alternative dispute resolution. In 2011, Ms. Chilson successfully arbitrated a lawsuit against an investment advisor for mismanagement of client funds. In 2009, she was part of a trial team that obtained a $47.7 million verdict on behalf of Chrysler LLC against a Tier 1 supplier. While in law school, she was an intern for the Honorable Avern Cohn, U.S. District Court, Eastern District of Michigan. J.S. Evangelista Dev., LLC v. Found. Capital Res., Inc., 2014 Mich. App. LEXIS 777, 2014 WL 1679067 (Mich. Ct. App. Apr. 24, 2014). Kim v. JPMorgan Chase Bank, N.A., 493 Mich. 98; 825 N.W.2d 329 (2012). Awad v. GMAC Mortgage, 2012 WL 1415166 (Mich. App. Apr. 24, 2012). Drew v. Kemp Brooks, 802 F.Supp.2d 889; 2011 WL 2936103 (E.D. Mich. 2011).